Metal figures from Spain. The folks behind this operation are the same talented individuals who previously marketed the Almogavers line. JVP01-03 IDF on Patrol Five figures. JVP01-05 Syrian Infantry in Combat Five figures in combat poses. JVP02-01 "Suspicious" The description of this set lists five figures (4 IDF and one suspect), but the photo on the manufacturers site shows six figures (5 IDF + suspect). 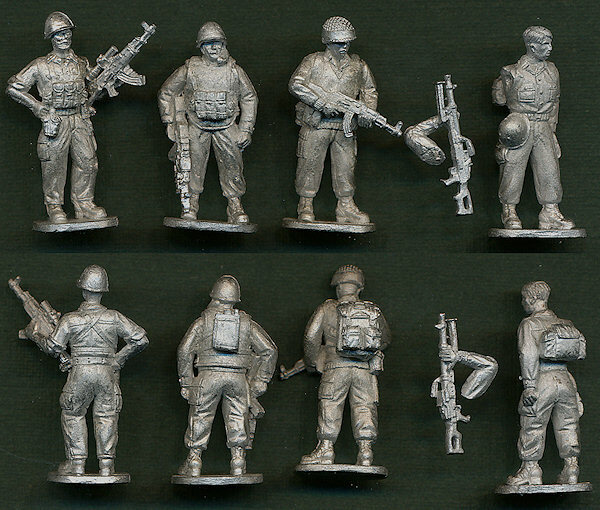 JVP02-02 Lebanese Arab Militia Seven figures in combat. JVP03-03 US Infantry Combat 1 The sets comes in a plastic bag. 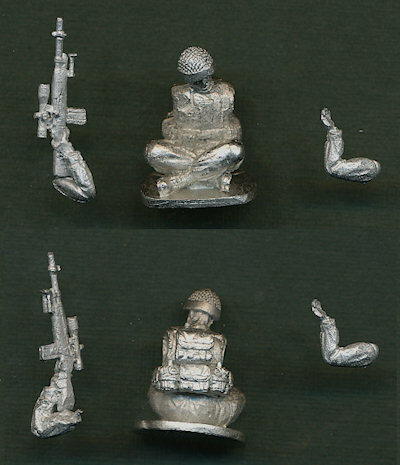 The set consists of 5 figures in different poses. They are made in lead. The sets comes in a plastic bag. 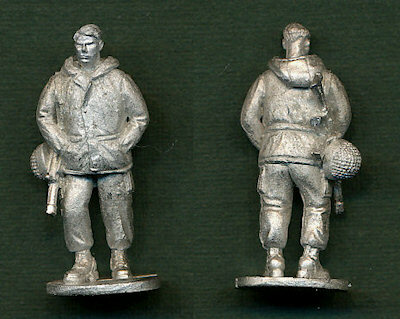 The set consists of 2 figures in different poses. One figure has separate arms, one of which carries a weapon.